To keep a yard looking it's best, and deck or patio areas inviting, you need lots of stuff. Pots, soil, garden tools etc...... But leaving hoses, and pool toys laying around when they are not in use looks messy. That's why outdoor organizing tools, like some of the ones shown here can come in handy. The pay-off is if you can store these items nearby you are more likely to put them away. Making the process of collecting and the items and then returning them closely is the key! 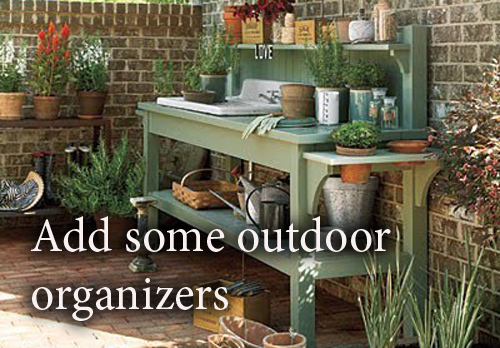 There are many potting tables and organizer available at your local garden center or nursery. However, you can use many items you already have. 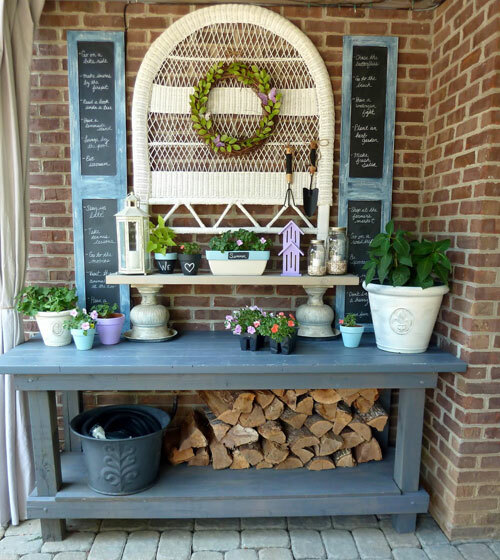 A trunk or bench that has a lid can store many garden pots and garden tools out of sight and then do double duty as a garden bench or place to sit. 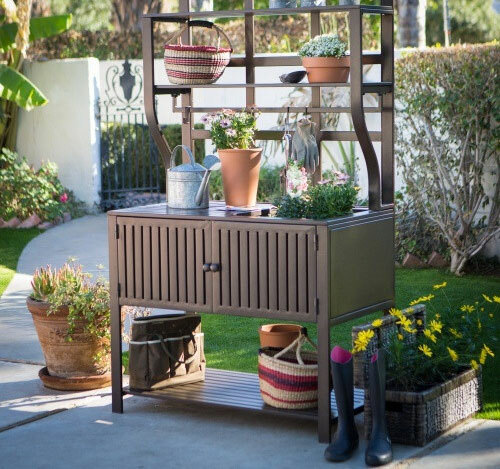 A old chest becomes a potting bench when you can store your soil and garden planters on it. We have seen old sinks come back to life when used as a basin to wash pots or planters in. Use your imagination and you can come up with some great ideas.